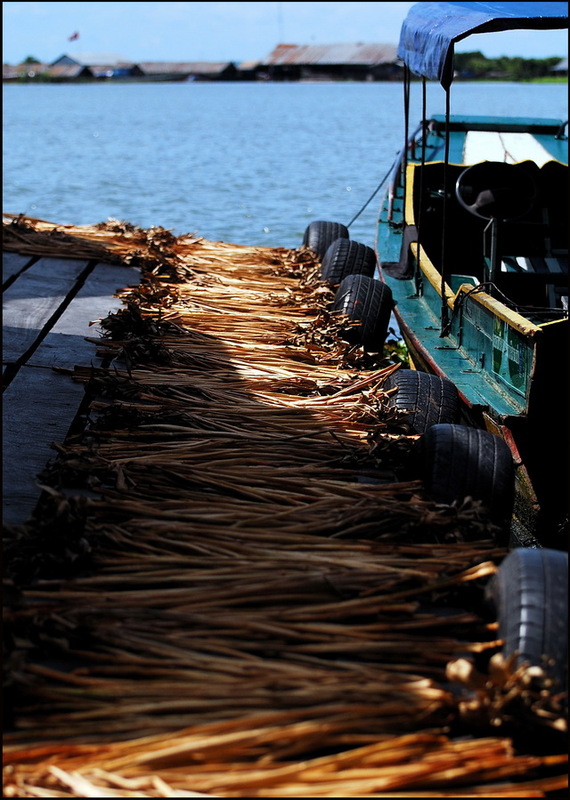 The excellent Saray Water Hyacinth project is a community project in Prek Toal, Cambodia’s, organized and funded by the NGO Osmose and the Australian Govt. 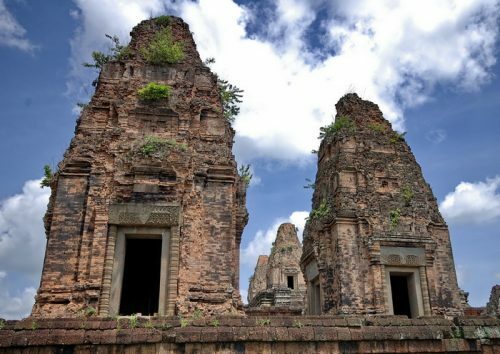 Prek Toal, a large village – or small town – situated at the point where the Sangker River meets the Tonle Sap Lake is entirely constructed on rafts, floating on the water. Schools, shops, karaoke bar, a church – everything is built on rafts with only the village wat and a couple of the largest houses situated on the rare patches of dry land. 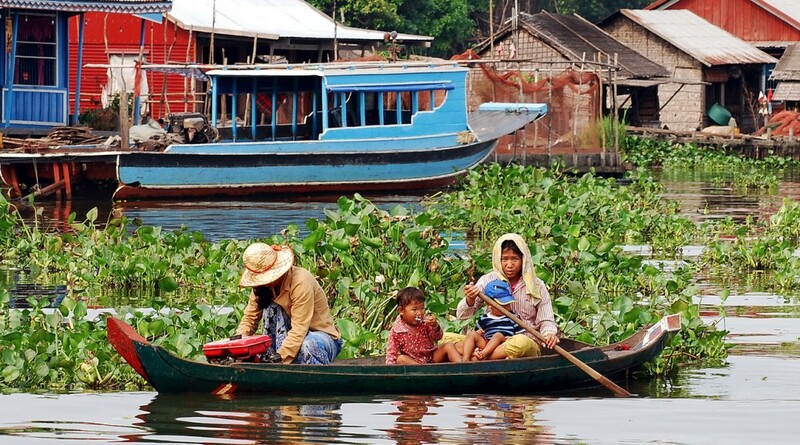 All very picturesque and highly photogenic but a tough life for the inhabitants who traditionally rely on fishing, more fishing and further fishing for their livelihoods. 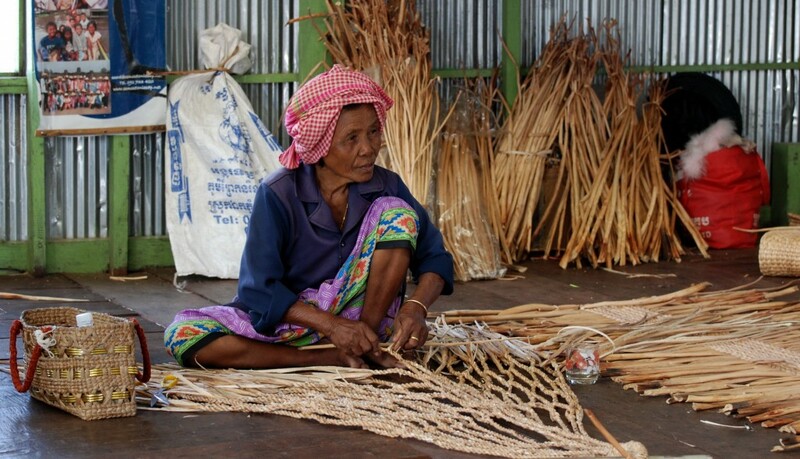 This particular scheme – also set up in a floating workshop – involves villagers in fabricating and selling handicrafts made from dried water-hyacinth plants in order to supplement their incomes. 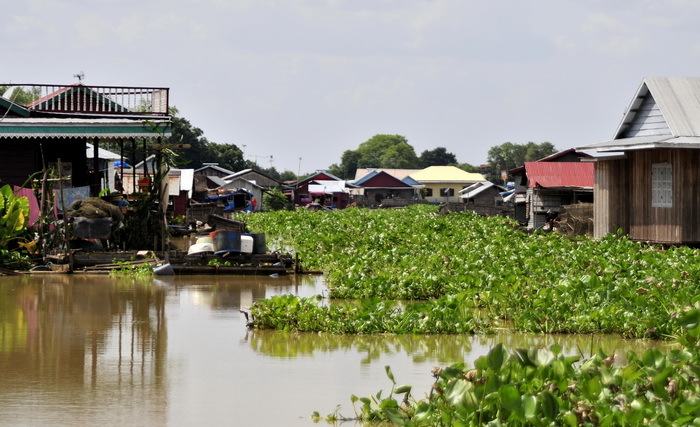 It’s killing two birds with one stone too, since the non-indigenous water hyacinths have become a serious problem in the area, proliferating to such an extent that they now clog up a lot of Cambodian waterways including rivers around Prek Toal itself. Are pristine tropical islands over-rated?